Have a burning question? Send me an email. I’ll respond within 24 hours. Quiet your mind. Nourish your body. You’ve been on go-go-go mode for as long as you can remember, rushing from one responsibility to another, only making time to check your phone in between. When you do squeeze in a little self-care, it’s only because your body has reached its breaking point, and the universe has all but forced your hand. You’re so distracted by the day to day busyness, you barely have time to breathe, much less “consciously create your life,” — whatever the heck that means. HOW ABOUT TRYING THIS ON FOR SIZE INSTEAD? Imagine waking up in the morning hearing only the sounds of the Bali jungle. You open the intricately carved Balinese doors of your traditional Indonesian bungalow to see the beauty of nature surrounding you. You walk barefoot down a path to the homey, spacious joglo where you get to enjoy vibrant, energizing, healthy meals in all colors of the rainbow — a far cry from the microwaved leftovers and La Croix you’ve been rocking after a long day of work. No shame, but your body is CRAVING some serious nourishment, and you’re going to get it here. You spend your day fully present — the first time in ages, amiright? You’re present knowing there is nowhere you need to go and nothing you need to do except Receive with a capital R.
This time belongs to you. Imagine your afternoons dedicated to fully enjoying what you need. A massage. Lounging by the all-natural pool. Reading. Napping. Moving your body. Meditating. Laughing. Connecting. Reflecting. Breathing. 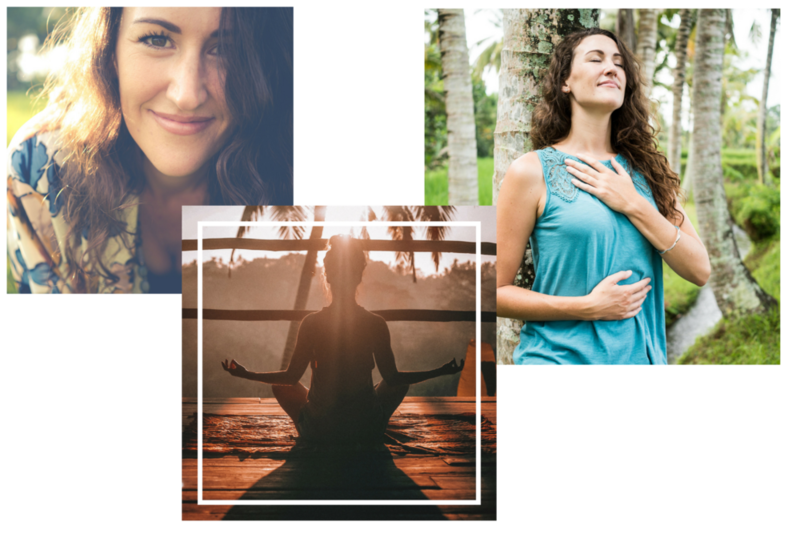 The Spark Retreat is your space to refill your tank and reignite your flame as you are held, supported and guided in beautiful Bali. Because, let’s be honest — you’ve been taking care of everyone. But how often do you let yourself be taken care of in return? This isn’t just a day at the spa. You could get that anywhere. This is you + the other amazing humans on this retreat + us, all coming together inside this magical, healing container. We’ve got you. Oh, and we’re the dream team, haven’t you heard? We’ll be holding you spiritually, mentally and energetically (and maybe physically, who knows?) as you fall apart in order to come back together — in the best. way. possible. And you will do all of it in paradise. Listen, up. This isn’t a surface-level retreat at a Western hotel. We’re taking you deep into the heart of natural Bali — and for a dang good reason! Bali is the setting for so many books and movies (ahem, Eat, Pray, Love) because it’s one of the most special and breathtaking spots on Mother Earth. Every day, people flock to it because they are drawn in by its pure, magnificent magic. If you’re just looking for palm tree Insta photos and tropical drinks by the pool, you’d better look elsewhere, because the Spark Retreat leads to a legit upgraded consciousness and up-leveled life — and that doesn’t happen by playing in the shallows. This experience, and Bali herself, will amplify full power shifts and awakenings you seriously can’t find anywhere else. Simply put, after spending a week immersed in this energetic vortex, you will not leave as the same woman who arrived. workshops, trainings, yoga classes, massages and more. Alexia Usgaard is the founder of the FEARCE Movement. 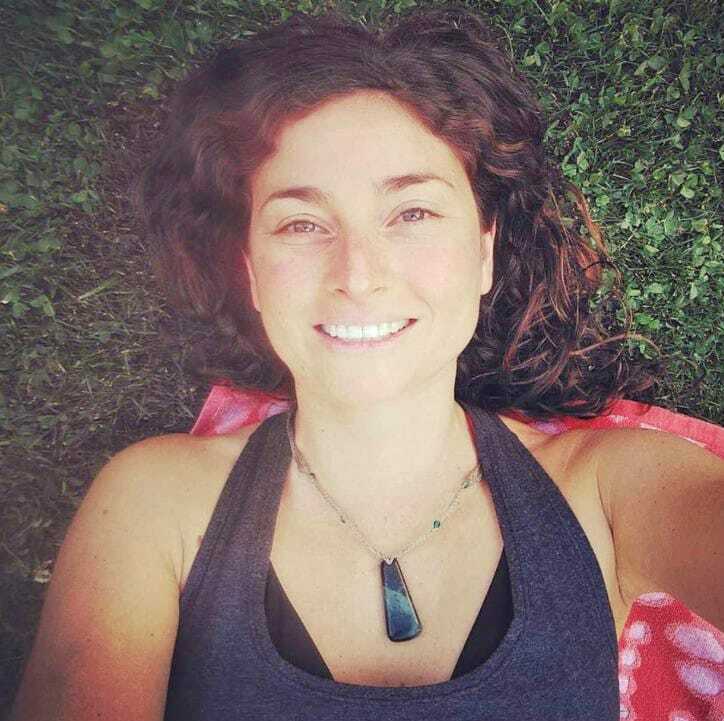 From studying Integrative Biology at UC Berkeley; to training in ThaiVedic Holistic Yoga Therapy; from her time working with some of Silicon Valley’s leading biotech start-ups to leading women’s empowerment workshops in Bali; Alexia marries the East and the West as she teaches people around the world how to transform their fear into freedom. Through her own health journey, Alexia has gained a unique perspective of the inner-workings of the mind, the microbiome, and their relationship with mindfulness. To date she has helped hundreds of women ignite their inner fire and take courageous steps toward living their lives FEARCEly. Stephanie Dickinson is a meditation and mindfulness teacher and mentor on a mission to dispel the myth that meditation is dry, stoic and straight-up boring. She specializes in bridging mindfulness practices, even the ancient and esoteric, into people’s modern lives and businesses. Having worked with clients ranging from reformed Wall Street head honchos to Olympic athletes, her magic is igniting people’s juicy aliveness and revealing their untapped reservoirs of energy just waiting to spill over! 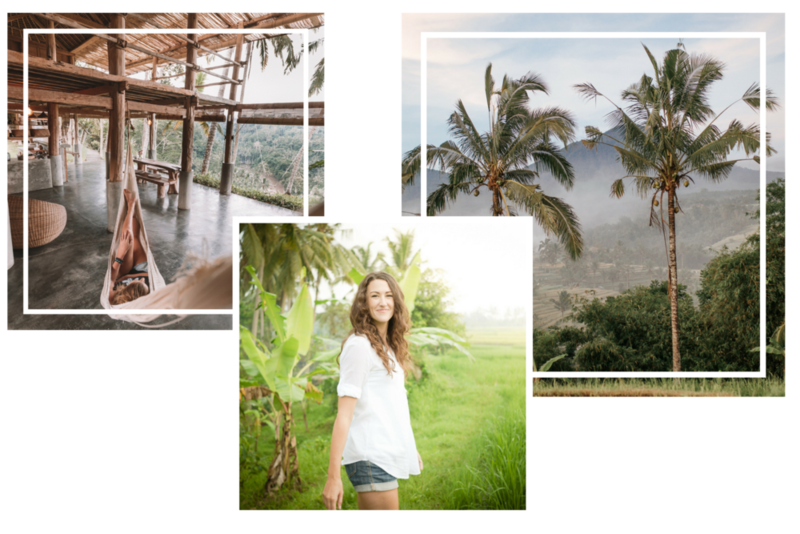 She lives in Bali and shares her work worldwide, on the FeelTank app, in leadership trainings, mindfulness workshops and retreats. We recommend flying in and out of Ngurah Rai International Airport, also known as Denpasar International Airport (DPS). If you arrive at DPS, we’ll also include shared shuttle service, so be prepared for us to collect your flight details to set up shared rides with lovely retreat attendees. You can always arrive in Bali a night or two early too! Check in at the retreat begins at 1:00pm on April 20th. We will start at 6pm that evening, and yes, dinner will be served for hungry travelers who’ve come far and wide to be taken care of. Finally, check out happens on the 27th at 12pm sharp, so we suggest midday or evening flights if you are leaving directly from the retreat. "Stephanie is an absolute master at meditation."